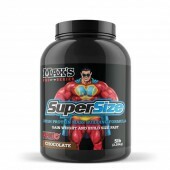 Max's Pro Series Super Shred Thermogenic Fat Stripping Protein is the newest edition to hit the Australian Protein Powder market, Max's Pro Series Super Shred is a export very popular range that us Aussies have been asking for! 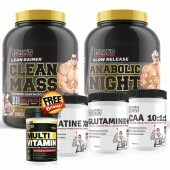 and yes we have answered and delivered this great range for you. Super Shred is a great edition to this range with summer just around the corner, Super Shred contains 22g protein per serve note may vary with flavours,less than 1g of sugar and only 3.9g of carbs per serve. 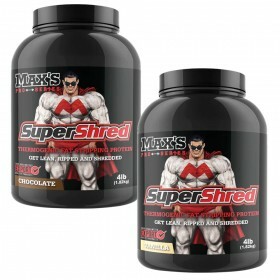 Super Shred has a great combination of Proteins that are Whey Protein concentrate and Calcium Caseinate provides a sustained release of protein to ensure your muscles are kept a-bolic for longer. The addition of Calcium Caseinate to this blend also keeps you feeling fuller for longer – great for anyone dieting or on a calorie restricted diet. The thermorogenic complex in SuperShred works by not only increasing your metabolism, but to also helps to mobilize fatty acids stored in body fat. 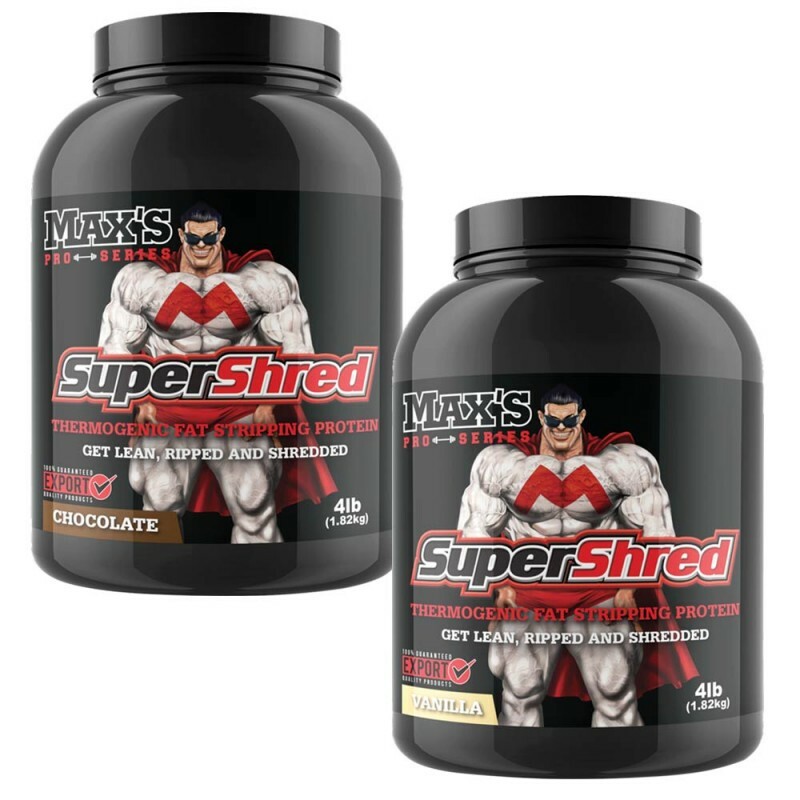 Max's Pro Series Super Shred will be in stock this week so make sure you order now from the number 1 Supplement store Rock Hard Supplements as it will fly out the door at only $89.95 for a 4lb tub with two great flavours to pick from. 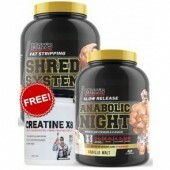 Below is a break down and more information about Max's Pro Series Super Shred. 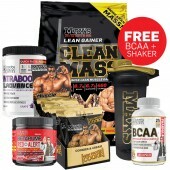 The combination of Whey Protein concentrate and Calcium Caseinate provides a sustained release of protein to ensure your muscles are kept a-bolic for longer. 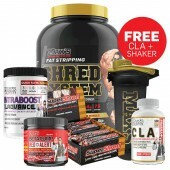 The addition of Calcium Caseinate to this blend also keeps you feeling fuller for longer – great for anyone dieting or on a calorie restricted diet. 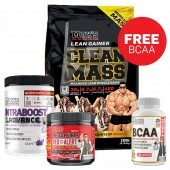 Whey Protein Concentrate is one of nature’s best muscle builders and health boosters and is a perfect choice for building muscle and keeping you healthy and active when you are training at your hardest. 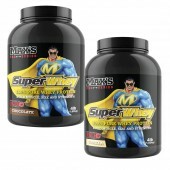 It is a rich source of muscle building peptides. 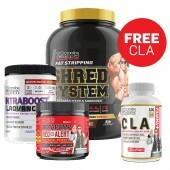 Conjugated Linoleic Acid – multiple studies have shown CLA safely reduces body fat while increasing lean muscle. Take 2 serves per day between meals or to replace meals. Add 30 grams (approx. 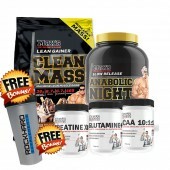 1 scoop) in a Rock Hard shaker with 200 ml of water or low fat milk, and shake for 30 seconds or until powder is dispersed. Consume within 30 minutes.